Sure, making short films with friends was fun, but I did that outside of school. CBTV acquainted me the inner workings of real life film and television sets. During my enrollment there, I made sure to use my time wisely and familiarize myself with the wide variety of equipment ranging from professional cameras, lighting gear, editing software, and much much more. After graduating from Cypress Bay, it was apparent that my knowledge of TV and film was milestones ahead that of any other television production student from any other high school. 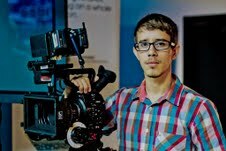 It's only been two years since I graduated and to date I am working as a professional freelance camera operator on various television shows, commercials, music videos, and more. Choosing CBTV is only the first step. Ones passion and determination to the program is the real investment for the future.